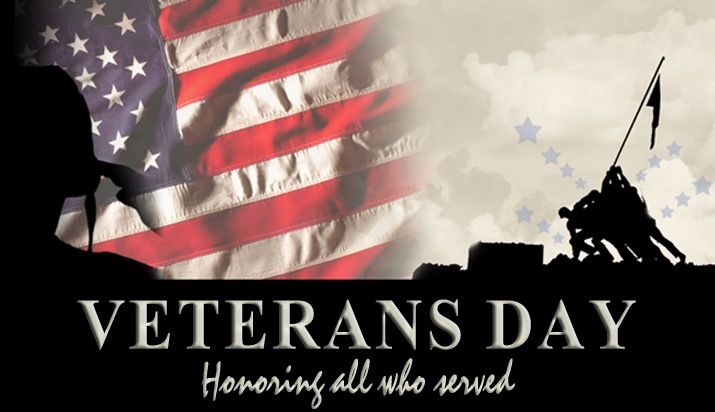 Happy Veteran’s Day to all who have served. Your sacrifice does not go unnoticed. You protected us from others and from ourselves. You don’t know us but you swore to fight for our freedom and protection of our human and constitutional rights. I thank you. I come from a military family, both my maternal and paternal sides. My paternal grandfather (and his three brothers) all served. I have uncles who have served. I have cousins who served and some who continue to serve. I have friends who served and some who continue to serve. My loved ones proudly and courageously served our country and I strive to always honor them and others who have and still are serving. Since I was a small child I’ve always had great respect for the foot soldiers who make it possible for us to sleep throughout the night with limited fear of foreign attack. I’ve also (since childhood) passionately spoken out against the decisions that leaders have made that directly impact those same soldiers. As I grew older I began to take notice of the infrastructure that was set in place to support troops but has weakened through one administration after the next. It was in trouble in the 1980s and now…well now it needs a lifeline. It’s a huge problem that no one quite knows how to wrap their hands around, because sadly it would seem as though those placed in charge of this huge feat don’t have the management and leadership skills to wrangle it and put things in their proper order. So the pile gets pushed on year after year, administration after administration—one big bureaucratic landfill. healthy transitioning to civilian life. Don’t Forget The Human It’s not good enough to just say “thank you” during holidays, political speeches, debates, and when you want to prove patriotism. These men and women risk their lives, sacrifice being with their family, and put everything on the line to follow orders that could potentially lead to their death, dismemberment, or loss of vision, hearing, speech, or mental capabilities. They know that one decision could risk everything. They are human beings with dreams, fears, concerns, needs and wants just like you. They are not robots. They bleed and die just like you. Don’t turn them into figureheads. Don’t let them just be good marketing figures. Don’t pimp them out to reinforce your agendas. If you truly support the troops then force the positive change that is needed to truly support them. As much propaganda and grandstanding that has taken place over the years (and especially the last two months)—using the service of our great men and women to serve a twisted agenda, we should expect to see people put their money where their mouths are, and invest heavily in our troops—and not just more military spending focused primarily on weapons and technology, but a huge budget that is consciously focused on the person while they actively serve and after—for as long as they live. Stop Brushing Aside PTSD Stop pretending that PTSD is not real or is too rare to be significant. It is real, it is huge, we have troops in the field and returning home right now who silently suffer from it, and we can do something about it. PTSD is more common than what is being shared and just as we ignorantly raise boys to not cry because it’s “a sign of weakness” and something that “only girls do”, we program men to not seek counseling and help because “it’s a sign of weakness”. Then when their trauma is left untreated and something awful happens we say “it’s clearly a mental health issue”. Yes, an issue that this person could have received treatment and support for if they had the resources and internal and external support to get the help that they need. You can’t deny PTSD if you witness bombings, shootings, human limbs strewn on the ground, the smells and sight of death and destruction. No one is ever prepared for this level of trauma. No amount of training can trick the mind to translate these images, sounds, and smells into “normal”. Yet we transition our troops back home with little time to adjust, sometimes only one month on a military base, before they have to engage in civilian life with sights and sounds that may actually trigger traumatic memories. June 27th is PTSD Awareness Day. Most people don’t know this. But sadly it’s only one day. We can and must do better for our troops and veterans. We should expect to see major overhaul of Veteran’s Affairs and VA hospitals across the country. They are under-funded, under-staffed, and lack the support and proper management that they need to fully provide the services that they are supposed to provide. We should expect to see the suffocating bureaucratic red tape cut down so that veterans have immediate access to the resources that they need to not only survive but thrive when they are no longer in active service. It never makes sense to see a homeless veteran. They deserve the best mental and physical healthcare and other resources. Our troops should have better benefits than our elected and appointed officials. Let’s keep it real shall we? What are elected and appointed officials sacrificing? Let’s especially look at those who have the luxury of no term limits, cushy desk jobs, photo ops and press conferences, access to private jets, exceptional healthcare, and guaranteed salary? Don’t you think and believe that our troops deserve better resources and greater access to those resources than the people we elect (or who are appointed) to office? Do your part to truly support our troops. It’s more than waving a flag and having a BBQ. It’s more than wearing the flag as a bandana, bikini, shorts, hair accessory, tie, or towel—which by the way are violations of the flag code. Bug the mess out of your local, state, and federal officials to get off of their lazy, entitled butts and bring the reform that our country needs to support active, inactive, and veteran personnel. Do your part by volunteering at clinics, nonprofits, and agencies that provide service to our troops. Do your part by donating to reputable nonprofits that service veterans. Do your part by offering jobs and careers to veterans. Revise your businesss and marketing plans to consciously make them part of your target market of job candidates. Do your part by having special year-round programs for veterans provided through or sponsored by your organization. The pomp and ceremony is great, it’s nostalgic, it’s unifying. It’s also temporary. One day or one weekend of free meals or services is great. What about the other days and weekends of the year? We have to give beyond two to three federally-recognized holidays. Now consider some other ways that you, your family, your neighborhood, your workplace, religious institution, and school can truly support the men and women who sacrifice more than all of us, and have little to show for it.